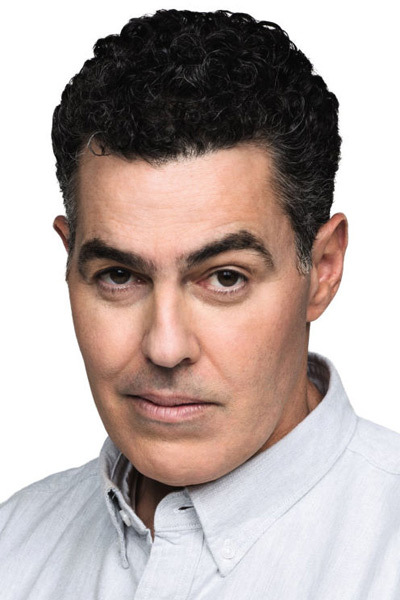 Adam Carolla is one of the most versatile men in Hollywood, where he created Ace Broadcasting now Carolla Digital and hosts the The Adam Carolla Show which broke the Guinness World Record for the most downloaded podcast with almost 60 million unique downloads from ’09 to ’11 and continues to grow today. iTunes end of year list in 2012 named Adam Carolla’s Podcast Best Podcast of 2012. The audiobook for Not Taco Bell Material also rightfully claimed a spot as one of only two comedy audiobooks on iTunes Top 10 List of 2012. He is the author of two New York Times bestsellers Not Taco Bell Material, and In Fifty Years We’ll All Be Chicks. Adam can be seen on The O’Reilly Factor on the Fox News Channel where he does the weekly segment “Rollin’ with Carolla.” Adam also co-created and co-starred in two hit Comedy Central shows, The Man Show (1999-2003) and Crank Yankers (2002-2007). He is well known for co-hosting the radio and MTV show Loveline. After cutbacks forced Adam to quit his syndicated self-titled Adam Carolla Show broadcast on CBS radio, Adam started The Adam Carolla Podcast with only a computer and a microphone from his home office in Feb. 2009. A year later, the podcast was named iTunes #1 Podcast Of 2009, has received more than five million downloads a month, and has been featured in Fast Company Magazine, Entrepreneur, The New York Times, and The Los Angeles Times. His immediate success prompted Adam to launch an entire online network, Carolla Digital in February 2010, which produces many of iTunes’ top podcast programming including the Dr. Drew Podcast. Adam became a New York Times best-selling author when his book, In 50 Years We’ll All Be Chicks stayed on the charts for ten weeks. The audio version went straight to the #1 position on iTunes and remains there today. His e-book, Rich Man Poor Man, is available on iTunes. Adam’s new book Not Taco Bell Material was released in June 2012 from Random House Publishing and climbed its way to the top of the New York Times Bestseller list. Before running his own online empire, Adam hosted The Adam Carolla Show broadcast, which aired on CBS radio stations in Los Angeles, Portland and Las Vegas. The four-hour weekday morning program was syndicated in several major markets, including Seattle, Sacramento and Fresno, among others. Carolla wrote, co-produced and starred in the independent boxing feature film, The Hammer. The Hammer made its world premiere at the 2007 Tribeca Film Festival in New York. Carolla was seen as a contestant on ABC’s hit reality series Dancing with the Stars and NBC’sCelebrity Apprentice. He hosted Comedy Central’s Too Late with Adam Carolla and starred in TLC’s The Adam Carolla Project, which chronicled the renovation and subsequent sale of his boyhood home. Following brief stints as a skilled carpenter and boxing trainer, he began his career in radio after answering an ad seeking a boxing instructor to train then radio personality Jimmy Kimmel of KROQ’s KEVIN AND BEAN SHOW in Los Angeles. He eventually joined the show’s repertoire as Mr. Birchum, a wood shop teacher. Carolla’s success on KROQ led to a hosting job on the nationally syndicated radio program Loveline with Dr. Drew Pinsky. MTV developed a television version of the show, which was co-hosted by Carolla and Pinsky for five seasons (1996-2000). The duo also authored The Dr. Drew and Adam Book: A Survival Guide to Life and Love and are currently hosting the Adam and Dr. Drew show. With their partner Daniel Kellison, Carolla and Kimmel are the heads of Jackhole Industries and have created and starred in two hit Comedy Central shows, The Man Show (1999-2003) and Crank Yankers (2002-2007). Carolla released his signature wine spirit in 2012, Mangria, a grape based vodka, which has sold over 40,000 bottles. Carolla is an automobile enthusiast with an eclectic collection of racing and exotic vehicles. He was also honored by the Peterson Automotive museum in 2012. A native of Southern California, Carolla currently resides in Los Angeles with his wife, Lynette, and their twins.